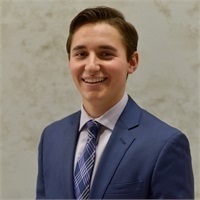 Chas is a Finance major along with a minor in Business Analytics attending Fairfield University. Prior to Fairfield he attended Pelham Memorial High School where he was a member of the National Honors Society and captain of the varsity baseball team. He currently holds the position of Underclassmen Representative for the club baseball team. Chas showed interest in the Financial Markets early on through his work experience on the LaPenta-Lynch Trading Floor at Iona College. Chas is also an avid member of the Finance Club through which he participates in Investopedia stock simulator games which he won his first semester. Additionally, Chas made the Dolan School of Business Dean’s list in his first two semesters at Fairfield. In his spare time Chas enjoys playing golf, fishing, and watching his favorite sports team, the New York Yankees. Favorite part about working at MONECO: The great sense of team spirit. Biggest challenge at MONECO: Trying to absorb as much knowledge as possible.